Construction is underway for the redevelopment of the historic Anderson School in downtown Bothell, Wash. McMenamins first Seattle-area hotel will open October 15, 2015, and feature a 72-room hotel, restaurants, a brewery, pubs, swimming pool, theater and outdoor spaces. 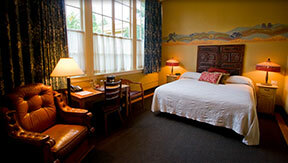 Anderson School hotel rooms can be reserved online now. Event space bookings are also now available online or by calling (425) 398-0127. McMenamins will begin accepting applications for more than 150 full- and part-time Anderson School positions in May. 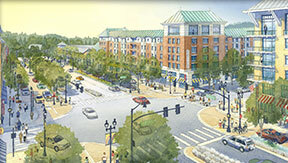 Job listings will be posted on McMenamins website as they become available. For media inquiries, contact jessicalyness@maxwellpr.com. With an eclectic mix of pubs, lodging, movie theaters, spas and event spaces throughout Washington and Oregon, McMenamins is one of the largest hospitality providers in the Pacific Northwest – yet amazingly, no two spaces are the same. Since its founding in 1983 by brothers Mike and Brian McMenamin, the company famous for resurrecting cool old buildings and transforming them into places people flock to, has grown from one pub in Portland, Ore., to 52 locations. All provide a casual, relaxed atmosphere where children are always welcome and regulars are common. Its focus on creative community hubs, spectacular concert venues, love for art, vintage fixtures, vegetable/herb/flower gardens, and historic buildings draw loyal fans and admirers far and wide. Independently-owned, McMenamins continues to earn recognition for its reimagining of historic properties and artistic restorations that spotlight local heritage and bolster tourism. McMenamins is possibly best known for two flagship projects. First there was the county poor farm in Troutdale, Ore., just 20 minutes from downtown Portland. Converted into a destination resort known as Edgefield, the 74-acre property now includes distinctive lodging, bars, restaurants, spa, soaking pool, premier outdoor concert venue, meeting and event space, brewery, winery, distillery, golf and gardens. Most similar to the Anderson School project was the renovation of McMenamins Kennedy School in 1997, now a neighborhood gathering place where guests sleep in former classrooms and enjoy food and beverage throughout the property. Both are premier Oregon attractions and vital community hubs. 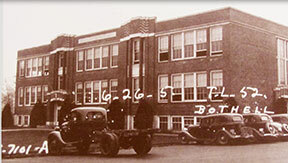 Once an abandoned, condemned elementary school in a working class Portland neighborhood, the Kennedy School has been a busy community gathering place for 17 years. Similar in many respects to the Anderson School, Kennedy School neighbors use the meeting space, soaking pool and community garden at no cost. Popularity of the Kennedy School ultimately fostered additional real estate development, attracting a popular natural foods grocery store, creating demand for infill housing and fueling growth of the Concordia and nearby Alberta retail districts. It's a magnet drawing tourists from all over the world fascinated by the notion of willfully spending time in "detention" and falling asleep in class. Demand for Kennedy School overnight lodging was so high that a two-story wing with 22 rooms was added in 2012 to boost capacity. Are you an accredited investor interested in learning more? Contact us to learn more about our upcoming investment opportunities. © Copyright 2014 Anderson School Properties LLC.